Frank C. Mevers has been a member of the publications committee for the New Hampshire Historical Society since 1996. SHERMAN OAKS, CA, September 25, 2018 — Marquis Who's Who, the world's premier publisher of biographical profiles, is proud to present Frank C. Mevers, Ph.D., with the Albert Nelson Marquis Lifetime Achievement Award. An accomplished listee, Dr. Mevers celebrates many years' experience in his professional network, and has been noted for achievements, leadership qualities, and the credentials and successes he has accrued in his field. As in all Marquis Who's Who biographical volumes, individuals profiled are selected on the basis of current reference value. Factors such as position, noteworthy accomplishments, visibility, and prominence in a field are all taken into account during the selection process. Dr. Mevers earned a bachelor's degree in history and master's degree from Louisiana State University in 1965 and 1967, respectively. Demonstrating professional and academic focus, he followed these accomplishments with a doctorate in American history from the University of North Carolina at Chapel Hill in 1972. 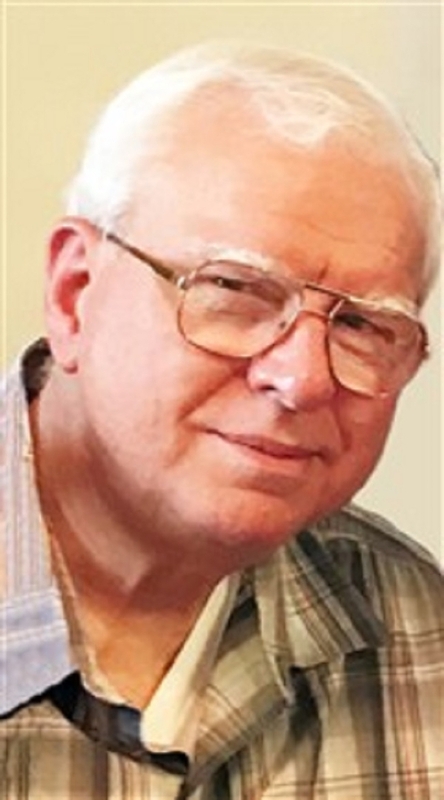 Bringing knowledge to the archival field throughout his career, Dr. Mevers started out as an editor for the papers of James Madison in Charlottesville, VA, from 1972 to 1974. He then moved to the New Hampshire Historical Society which had selected him to be the editor of the Papers of Josiah Bartlett, published in 1979 by the University Press of New England for the NH Historical Society and the NH American Revolution Bicentennial Commission. From 1977 to 1979 he simultaneously directed both a project at the NH Historical Society to microfilm an edition of The Papers of William Plumer and also a project to create order among the historical records in the vault of the NH Division of Records Management and Archives in association with Dr. Paul W. Wilderson. Both projects received funding from the National Historical Publications and Records Commission. In 1979 Dr. Mevers was appointed by the NH Secretary of State to become New Hampshire's first state archivist with the title of Director and State Archivist of the NH Division of Records Management and Archives, a position which he held from 1979 to 2003 when the title was amended by the state legislature to State Archivist and Director of the NH Division of Archives and Records Management. He continued in this position until his retirement in September 2010. During this time he received a Great American Achievement Award under the auspices of the NH Commission on the Bicentennial of the Ratification of the American Constitution. Initially interested in medicine as well as history, Dr. Mevers' success can be attributed to the influence of well-known mentors in the history field, such as Don Higginbotham, his dissertation director at the University of North Carolina. His career encompasses many creative works, and he wrote and edited “New Hampshire: State That Made U.S. a Nation” in 1989. In 1980 he undertook a largely personal project to index by subject, place, and persons within the body of petitions submitted to the governor, executive council, and/or the legislature of New Hampshire, a collection of approximately 20,000 documents dated between 1679 and 1850 housed at the State Archives. That index now completed through 1825, encompasses 186,000+ entries, is available on line and at the State Archives, and continues to grow. Due to his unparalleled professional focus, Dr. Mevers has been a member of the publications committee for the New Hampshire Historical Society since 1996. He is also a former member of the New England Archivists and has been involved with the American Historical Association, as well as the Organization of American Historians. In addition to his occupational endeavors, Dr. Mevers was a member and chairman of the Public Library Board of Trustees in Concord, NH, from 1979 to 1999. He served in the United States Army from 1967 to 1969. His professional accomplishments have garnered him honors in numerous publications, including Who's Who in America, Who's Who in American Politics and Who's Who in the East. In recognition of outstanding contributions to his profession and the Marquis Who's Who community, Dr. Mevers has been featured on the Albert Nelson Marquis Lifetime Achievement website. Please visit www.ltachievers.com for more information about this honor.